The Morgana Jogger is an essential piece of equipment for printers who need to ‘knock’ up paper or carbonless sets in sizes up to SRA3. 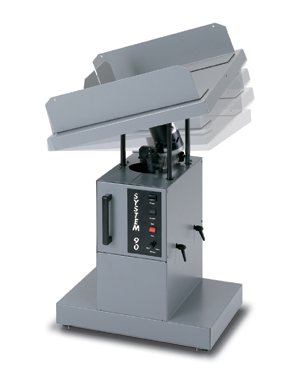 It combines well with the AutoCreaser, Morgana rotary numberers, Uchida collators and the DigiCoater 33 & 50. The height of the Jogger can be adjusted as can the angle – see opposite.